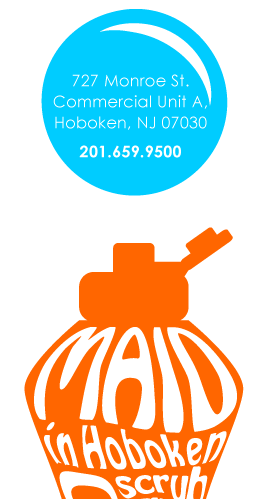 At Maid in Hoboken, we strive to provide the best home cleaning services Weehawken in New Jersey, and we’re proud that our neighbors have helped make us the #1 rated service in customer satisfaction on Yelp. We know Weehawken residents demand clean homes, and that many of you have better things to do than sweep, mop, dust, clean kitchens, carpets, and bathrooms, or the 1001 other cleaning services that Maid in Hoboken performs. That’s why residents from The Heights and Kingwood Bluff to Downtown Weehawken let Maid in Hoboken handle all their residential cleaning needs. If you haven’t heard about our eco-friendly cleaning service before, ask your neighbors, or come visit our storefront on the corner of 8th and Monroe in Hoboken and meet our staff, and tell us about your house cleaning needs. Our bonded house cleaning service guarantees satisfaction. If you’re not entirely happy, just contact us within 24 hours after the appointment, and we’ll re-clean to your approval at no charge. But you will be entirely happy with our residential cleaning service, because we’re got the best cleaning professionals in the business. We carefully screen and conduct extensive background checks on all our team members, train them in the most effective cleaning methods as well as in delivering top notch customer service, and provide them with professional grade cleaning equipment. That’s why residents at RiversEdge at Port Imperial, Estuary, The Simone, and addresses throughout Weehawken use Maid in Hoboken for their home cleaning services, from move-in cleaning to move-out cleaning.